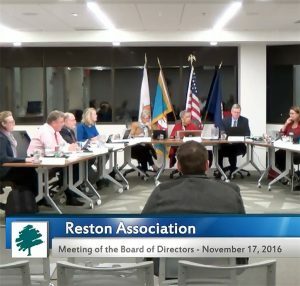 Locals will have to pay $35 more on their annual fees to the Reston Association. The RA Board last night voted 5-3 in favor of a 2017 assessment of $692. The fees for 2016 were $657. Months of board meetings and public hearings led up to Thursday’s vote. Several assessment options were considered, ranging from $630 to $792. Most recently, the board appeared to lean toward fees of $698. As part of the 2017 assessment vote, the board approved the hiring of a new capital improvements director, at an annual salary of $84,000 plus benefits, coming to a total expense of $138,000. In addition, two current RA employees will new jobs in the recently created capital projects department. In order to increase member assessment fees as little as possible, while also allowing for the new capital improvement director’s salary, board members agreed to make cuts in a few places. One place that received some cuts was aquatic services. The board decided to cut the hours of operations for some of the associations least-used pools. Details of which pools, and what the new hours will be, have not yet been announced. The savings from these cuts will run about $120,000 for the year, according to the board. Other cuts approved in October included $174,000 from road maintenance and $20,000 from board governance training. 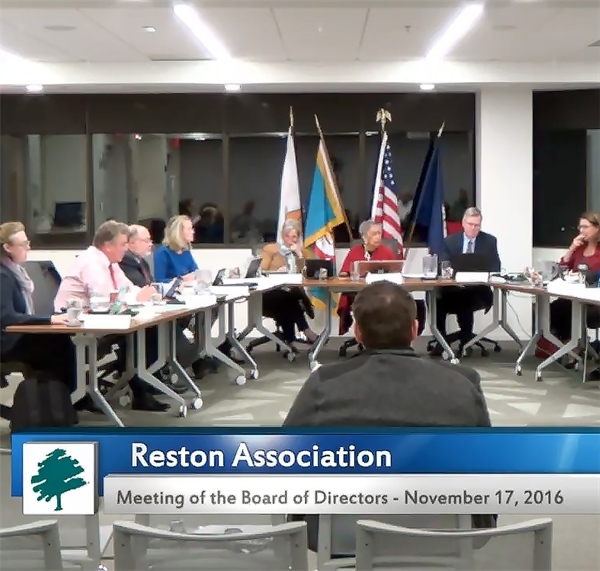 Assessment statements will go out to Reston households in mid-December.